Now CLIA Waived! K Number in CLIA Database is K121987. Single Panel Drug Test Dip Card...You choose from one of seven Drugs to Test for! 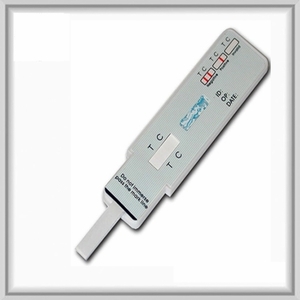 One of the easiest and most convenient ways to drug test is with the use of urine dip-card drug test kits. The urine test strip is integrated in a plastic holder for your convenience. These cards can be used to test for a variety of different substances. Their ease of use makes them a practical solution for anyone interested in implementing a drug screening process for employment or any other business or personal purpose. Read the result in 5 minutes.